A water treatment plant wanted to entrain activated carbon as a filtering media to treat and regenerate application material to meet EPA regulations prior to disposing in a sewer. A treatment facility needed to pump and mix a variety of chemicals in a water stream to control pH levels. Assemblers had to hold windshields in place during assembly. Using a Penberthy G Series jet, they were able to generate a vacuum to hold the windshield while it was positioned. A tire manufacturer needed to evacuate steam from a bladder in order for the tire to be removed from the tire press. 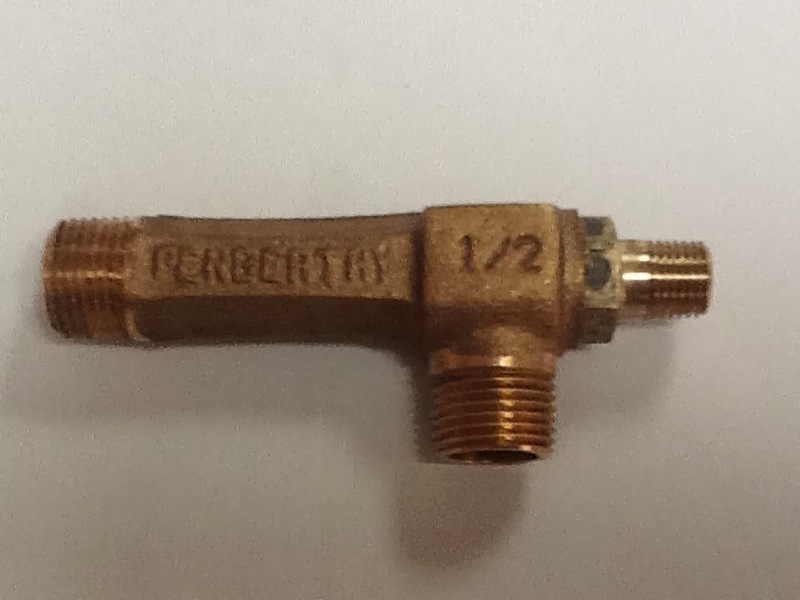 A Penberthy G Series jet was installed to evacuate the steam and speed up the production cycle. Settling of materials in electrocoat and pretreatment tanks in automotive paint lines had to be eliminated in order to improve overall paint quality. Installation of Penberthy Model TME (Tank Mixing Eductors) provided low electrical conductivity and smooth mixing flow characteristics, improving paint finishes. A chemist required an efficient method of extracting ground water samples for chemical analysis. Using Penberthy Series L jet pumps, samples were taken and transferred to holding tanks for evaluation and testing. Railcars need an effective method of removing a variety of powdered materials. Barge terminal operators need a cost-effective method of removing rainwater from barges. Penberthy Model L Series jet pumps are used to hydraulically pump the water from the barge. This water is transported into another barge for testing and treatment before being discharged back into the river. A brewery needed to heat liquids as part of the pasteurization process. Using a Penberthy Model SRH, the liquid was heated and pasteurized in-line. In this application, processing was improved by 30%. A corn processing plant needed an inexpensive and efficient method or removing carbon dust from the bottom of their furnaces. They attached a perforated pipe to the suction inlet of a Penberthy Model LM jet, and using water as the motive, a vacuum was created sucking up the carbon dust. The company needed an effective means of detecting leaks in molds. By using a Penberthy Model LM jet with the suction hooked up to the mold, they were able to generate a vacuum which detected leaks in the mold or seals. Boats sitting in a marina during the winter months became immobilized due to ice buildup. Using a Penberthy Model CTE, warmer water was brought to the surface preventing the water from freezing. A processor potato chips wanted to heat water in a blancher to remove potato skins. A Penberthy Model SRH was installed at the bottom of a tank. The water draining from the tank had sufficient head pressure to mix with the steam to allow recirculation back into the tank as well as reaching desired temperature. A number of businesses and homeowners needed an effective way to remove water from sump pits during flooding. Penberthy Sump Drainer and L Series jets provided reliable methods of removing the water using no electrical power. A storage tank manufacturer needed to move dry solids - diatomaceous earth - into a blending tank. Using a Penberthy Model LM with a Penberthy Washdown Hopper, they were able to mix the earth with the motive fluid and transport it into the blending tank. Once in the tank, a Penberthy Model CTE was used to provide continuous in-tank mixing. A company needed to maintain a minimum liquid temperature in their tanks, regardless of outside ambient temperatures. Using a Penberthy Model CTE as an in-tank heater in conjunction with a simple temperature control system, steam was mixed with the liquid when the outside temperature fell below a certain level. A manufacturer of silo systems for wastewater treatment that used wetting cones with powdered activated carbon needed a means of moving the resulting slurry. By installing various Penberthy Series L liquid motive jets at the bottom of each cone, the manufacturer was able to move the slurry away using water as the motive. Condensation pits associated with underground heating systems needed to be emptied. A Penberthy model 2-R Sump Drainer was installed in each pit. This stand-alone system uses water as the motive and requires no electrical power. 1/2A GH Jet Pump / Eductor in Bronze. CLICK HERE FOR THE JET PUMP/EDUCTOR MAIN PAGE ON FLOW FACTOR.